FCVC celebrates World Wildlife Conservation Day this Dec 4th. We bring you this information on how wildlife in the world is being affected by those who would choose to profit from killing animals. How can you help? Spreading awareness of the problem and choosing to act to save animals are two ways, brought to you from our friends at DayoftheYear and the WWF. Trade Poaching is the most immediate threat to wild tigers. Every part of the tiger—from whisker to tail—is traded in illegal wildlife markets. In relentless demand, their parts are used for traditional medicine, folk remedies and, increasingly, as status symbols among some Asian cultures. There are usually limited resources for guarding protected areas in the countries where tigers live. Even countries with strong enforcement of tiger protection laws fight a never-ending battle against poaching, which is now often orchestrated by transnational crime syndicates that rake in significant profits from wildlife crime. In Indochina and China, poaching is so pervasive that thousands of forest acres stand empty of tigers. The impact from the death of a single tiger at the hands of poachers reaches beyond one single loss. If a female tiger with cubs is killed, her cubs will most likely die without their mother, and the female’s potential for future breeding is lost. If a male is killed, his death can result in intensive competition for his territory among surviving males in the population, leading to potential injury and death. The sad truth is that the world’s best loved, beautiful and fascinating species are being slaughtered by widespread and dangerous criminal networks that will stop at nothing to get what they want. And what they want are animal parts and products that for reasons no sane person really understands, are worth lots of money. There are plenty of synthetic substitutes for things like ivory and fur that don’t require the brutal slaughter of an animal to obtain, not to mention how hard it actually is to tell the difference between high-quality synthetic substitutes and the real thing. And do you mean to tell me no other dish in the world tastes as good as shark fin soup, and that we really have to mutilate live sharks and then throw them back into the ocean to die? Long story short, there is simply no excuse for the amount of animals being poached every year. And yet they are. In 2011 alone, for example, there were 13 large-scale seizures of ivory, and over 23 tons of ivory confiscated, which is equivalent to at least 2,500 elephants. A 2010 United Nations report suggests that gorillas could disappear altogether from large parts of the Congo Basin by the mid-2020s. And it is not just the animals that are suffering. Park rangers get killed on a regular basis by poachers they’re trying to stop, and the local economies of entire towns and villages suffer terrible damage once enough wildlife is wiped out to make them irrelevant as wildlife tourism destinations. Corruption and intimidation are weakening law enforcement efforts. Unscreened wildlife and wildlife parts increase the risk of human health pandemics such as bird flu. Everyone involved is suffering. A call to action was put out by Secretary of State Hillary Clinton in 2012 to raise awareness and engage conservationists on Wildlife Conservation Day, December 4. During the “Wildlife Trafficking and Conservation: A Call to Action” event held at the State Department on November 8th 2012, Secretary Clinton outlined the White House’s strategy to address the global problem of wildlife trafficking. These efforts are estimated to cost between $7 and $10 billion dollars a year. “Wildlife cannot be manufactured. And once it’s gone, it cannot be replenished. Those who profit from it illegally are not just undermining our borders and our economies, they are truly stealing from the next generation,” she said. 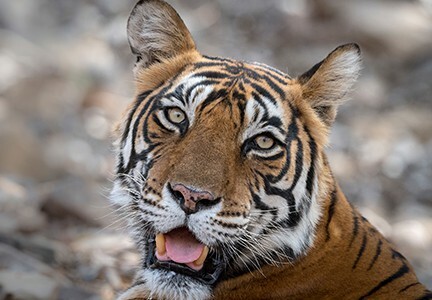 Raise awareness and contribute to the conservation and protection of endangered species such as elephants, rhinos and tigers on World Wildlife Conservation Day’s website. This global occasion provides everyone with the opportunity to learn more about wildlife conservation and to be part of the solution to wildlife crime. Go online and join the thousands of other individuals who have taken the wildlife pledge. Promise to learn more about wildlife conservation, to spread the word about the importance of protecting our planets most endangered species and the impact of poaching on our environment. Learn how to become a responsible consumer in order to stop illicit wildlife trade. You can also take direct action by making a charitable donation to the World Wildlife Fund (WWF). 100% of all donations go towards training and equipping the rangers who are the wildlife protectors, and often the only thing standing between a baby tiger or elephant and a poacher. There could be as few as 3,890 tigers in the wild, most in isolated pockets spread across increasingly fragmented forests, stretching from India to southeastern China and from the Russian Far East to Sumatra, Indonesia. Largest of all cats, the tiger is one of the most threatened species on Earth. Tigers prefer to eat hoofed animals, but will also prey on fish, birds and even other predators like leopards and bears. These beautiful cats are threatened by growing human populations, loss of habitat, illegal hunting (of both tigers and their prey species) and expanded trade in tiger parts used as traditional medicines. You can grab the Adopt a Tiger kit on WWF for a donation of $55, which goes to protecting these magnificent creatures. FCVC knows it can be hard to feel like you can make a difference on a day like World Wildlife Conservation Day. But even if you cannot go to the wilds, you can just by the simple step of making a charitable donation to the WWF or other organizations that will act against poaching. Spread the awareness on social media. Most of all, speak out against illicit trade of animal organs for profit.